The chief financer to Jamaat-e-Islami, and Media expert, Mir Qasim Ali has been hanged. 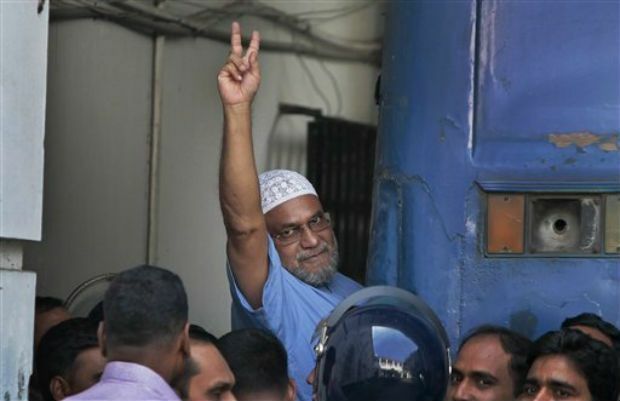 Qasim played foul role during 1971 freedom fight was sentenced by capital punishment. The last order of hanging was given to the jail official. Jail officials had called the family of Kasim Ali Mir to meet them last chance. After completion of all rituals Qasim in high security was hanged in central jail Kasimpur outskirt area of Dhaka. The 22 family members had reached to meet with them. Qasim Ali Kashimpur Central Jail was placed in the solitary cell. 5 of war crime accused during 1971 freedom fight have been hanged when the action was taken against them so far. Qasim Ali was the accused of prevailing afraid in the people as a young leader of Islami student union of Jamat student branch, and quelled those who fought for freedom.